The expulsion from Spain did not only result in the destruction and dispersion of Spanish Jewry but led to a crisis in Jewish faith. 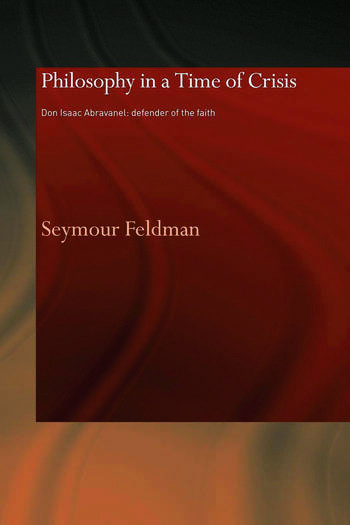 Don Isaac Abravanel provided a systematic treatment of the main philosophical and theological beliefs of Judaism in an attempt to resolve the inner doubts of his co-religionists. In their Italian exile his son Judah too recognized that Jews were now living in a new cultural world, but he forged a different road for Jews to pursue in their entry into the culture of the Renaissance. This book presents a picture of one family facing the challenges of a new era in Jewish history. Seymour Feldman is Professor Emeritus of Philosophy, Rutgers University.